We Were Dead Before The Ship Even Sank – Modest Mouse – Old school Modest Mouse fans would say they’ve mellowed, new fangled Modest Mouse fans would say it’s not as listenable as Good News. I say that anything that Isaac Brock and crew do is just fine with me. And the addition of Johnny Marr makes them even better. Top tracks include Dashboard, Fire It Up, Missed The Boat, People As Places, and Invisible. Sky Blue Sky – Wilco – I’ve read a lot of Wilco fan bloggers who think this album was disappointing. It certainly is not as adventurous as Yankee Hotel or Summerteeth, but I really enjoy the 70s soft rock sound (think Steve Miller or Steely Dan). And I particularly like the growing importance of Nels Cline’s amazing guitar playing in the band and on this record. I also love the way this record was the soundtrack to a series of volkswagon commercials. Top tracks include Either Way, Impossible Germany, Hate It Here, Walken, and What Light. 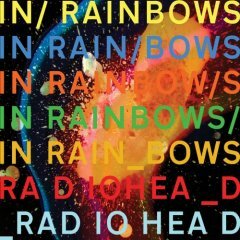 In Rainbows – Radiohead – All the buzz is about how they released this record via a "pick your price" offer using the web. I loved the way they did it and wish every band would release their music via drm free mp3s directly from the band’s website. What got lost in all the talk is that this is the best record the band has made in a decade and there are several songs that are classic Radiohead, including my favorites Weird Fishes and Jigsaw. Wincing The Night Away – The Shins – This record was on many of the top ten lists I saw in the past couple weeks. I was tempted to put it on my list too. But I was really into it last year (got a pre-release) and I petered out on it early on this year. My favorite tracks on this record are Red Rabbits, Split Needles, Phantom Limb, and Girl Sailor. 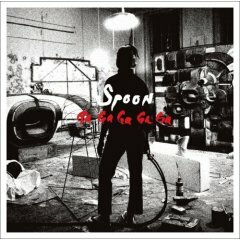 Ga, Ga, Ga, Ga, Ga – Spoon – Another record that was on many top ten lists I’ve seen. I like their new funkier sound. And I’d really like to see them live. But the record is uneven and I find myself playing a few tracks off of it a lot more frequently than I play the whole record. The two tracks that I absolutely love are Underdog (from the movie soundtrack – I never saw it) and Cherry Bomb. I also really like the opening track, Don’t Make Me A Target. 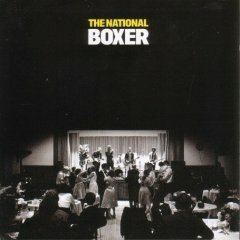 Boxer – The National – This one is really tough to keep of the top 10. It was on the cusp along with two or three other records, but given that it kind of fit into "solid records by bands I love", it ended up here. It also pales just a bit in comparison to The National’s prior effort, Alligator. But Boxer is a super record, and features one of the best tracks of the year, called Apartment Story. Fake Empire and Start A War are also excellent.